What is the normal female urethral length and what are the parts of the urethra? The urethra is a tube which carries urine from the bladder to outside the body. The female urethra is about 3 to 4 cm long. From the bladder, urine passes through an opening called the bladder neck which is surrounded by the involuntary sphincter. There is another sphincter located in the mid-portion the urethra and this is under our voluntary control. The exit that opens to the outside is called the meatus. 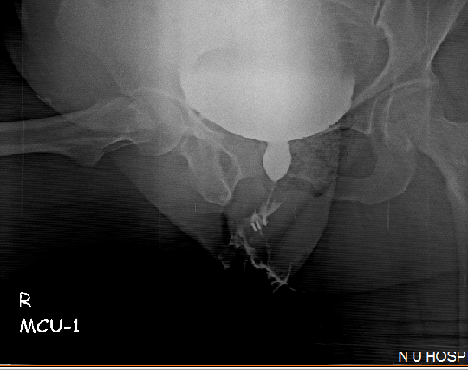 What is a urethral stricture and how common is this problem in women? An abnormal narrowing in the tube is called urethral stricture and this obstructs the flow of urine. A female stricture is less common and it is seen in 4 to 13 % of women having poor urine stream. Female strictures are commonly seen in the first 2 to 3 cm of the urethra from the meatus. The common causes are due to previous instrumentation of the urethra, which could be in the form of catheterization or endoscopic procedures. In several cases, no cause may be identifiable. It can also occur following reconstructive surgery on or around the urethra. It can also occur after infection, or following radiation treatment for pelvis cancers. Strictures usually manifest many years after the initial event. What are the common symptoms of patients with strictures? They could be one or more of the following: Difficulty in initiating urination, straining to pass urine, poor and interrupted urinary stream, dribbling, frequent urination, sense of incomplete emptying, leakage of urine, burning while passing urine, blood in the urine, urinary tract infection (UTI) and painful retention of urine. Sometimes there may be no symptoms, and it may be incidentally diagnosed when attempting to insert a urine tube (catheter). What tests are done in suspected urethral stricture disease? During a physical examination, the doctor looks at the meatus and other pelvic organs for any abnormalities. Basic evaluation includes blood and urine tests, an ultrasound scan (before and after passing urine), and uroflowmetry (in which the patient passes urine in a commode like a machine which records flow rates in a graphic manner). If these tests are abnormal, further imaging tests called Micturating cystourethrogram (MCU) will be asked for. In MCU, the contrast material is injected with help of a needle puncture of the full bladder and X-ray images are taken while passing urine. This will help the doctor to study the urethra. Note: this investigation should not be done if you are pregnant. By this imaging, your doctor can differentiate from other conditions which present with similar symptoms. Finally, if all the above tests are indicative of stricture, then we confirm it by urethral calibration, by checking if a certain size catheter enters the bladder easily. If it does, there is no stricture. If not, the position at which the tube gets held up is noted. This is done under local anesthesia. Are there is any medications to correct this problem? What are the treatment options available for this condition? Urethral Dilatation: This used to be most commonly performed procedure earlier. In this procedure serial dilators/catheters are passed from smaller to larger sizes through the meatus to dilate the narrow segment under IV sedation and local anesthesia. Subsequent dilatations can be tried under local anesthesia at regular intervals or patient may learn how to perform self dilatation at regular interval. The main problem with this method is recurrence of the symptoms and poor success rates. Sometimes patients may develop pain, bleeding, false passages and worsening of the narrowing over a period of time. Surgery (urethroplasty) is the current best option for treating these strictures. 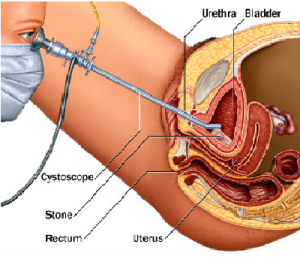 Urethroscopy is performed to examine the urethra under anesthesia and this is usually the first step during operation (see below). This will give additional information about the health of urethral lining, in addition to details of the stricture. In buccal mucosal urethroplasty, 2 to 3 cm of buccal graft is taken from inside one of the cheeks, and interposed in the stricture segment. A urine catheter is then kept usually for 2 weeks. What are the recurrence rates with urethroplasty? Most studies in literature are of small patient numbers. It is therefore difficult to quote the success and recurrence rates as of now. But in our experience, the outcomes have been excellent. How many visits are required after the catheter is removed? In the first year, at 3 months, 6 months and at 1 year. Thereafter yearly follow up and whenever as advised by your doctor. Tests that would be required during each visit include urine analysis, uroflowmetry and Ultrasound pre and post void. Any further tests would be based on clinical condition. 1.Campbell-Walsh Urology 11th Edition, Chapter 40.